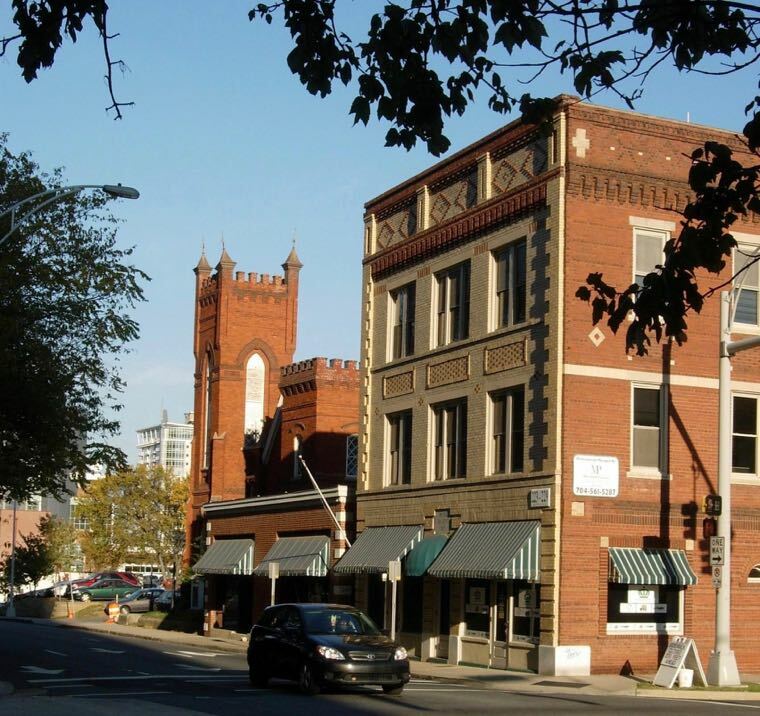 The Charlotte-Mecklenburg Historic Landmarks Commission lists 34 African American historic sites on its register of Mecklenburg County landmarks. Here are five to get you started. Books, films and websites are all great ways to explore history. But there’s something special about seeing a landmark building and getting to know its story. The Charlotte-Mecklenburg Historic Landmarks Commission lists 34 African American historic sites on its register of Mecklenburg County landmarks. It even offers a download-able self-guided Black Heritage Driving Tour. Here are five places to get you started. 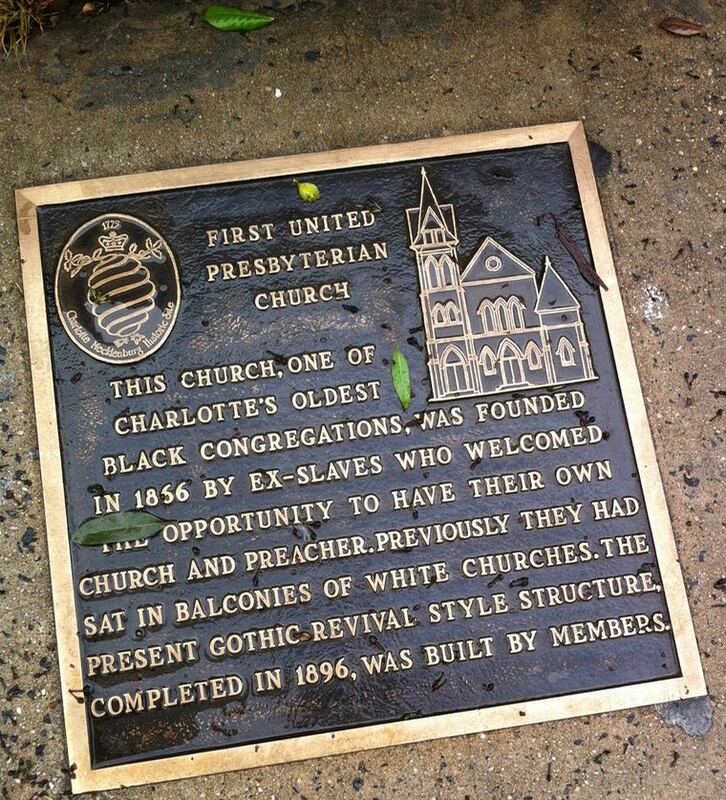 Created by Presbyterians after the Civil War to train “preachers and teachers” among the newly freed black population. 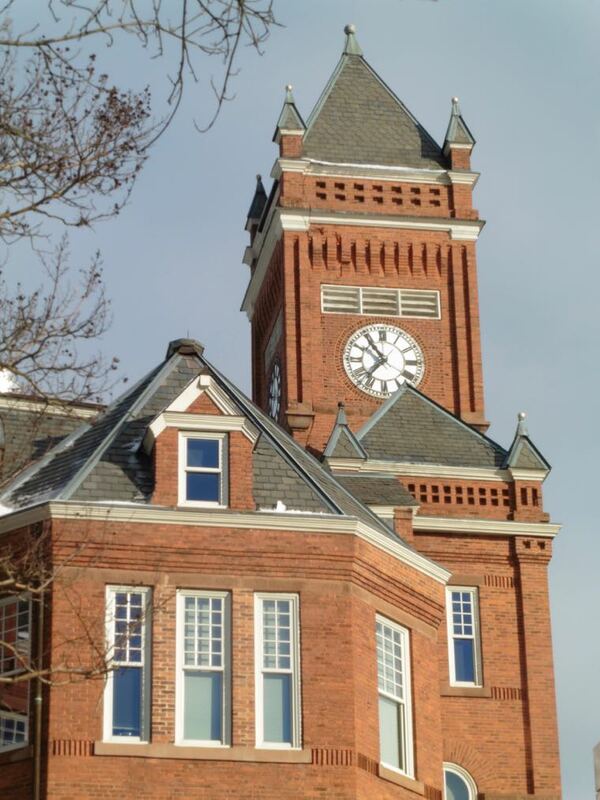 Standout structures include the grand Victorian tower of Biddle Hall (1884), the serene NeoClassical columns of the old Carnegie Library (1912) and the Greek temple-inspired Smith Chapel from the 1920s. Duck into Duke Library to view an exuberant history mural and also the Levine Museum exhibit Courage about the surprising Carolina roots of the Supreme Court’s famous Brown v Board desegregation ruling. Read more about the JCSU’s history. Across Beatties Ford Road from the main campus, JCSU’s first black professor built this fine Victorian residence about 1895. Dr. George E. Davis’s career took on statewide significance in the 1920s when he guided grassroots fundraising to build Rosenwald Schools in some 800 rural black communities. Wife Marie G. Davis, an early school principal, is remembered in the naming of Charlotte’s Marie G. Davis Elementary. 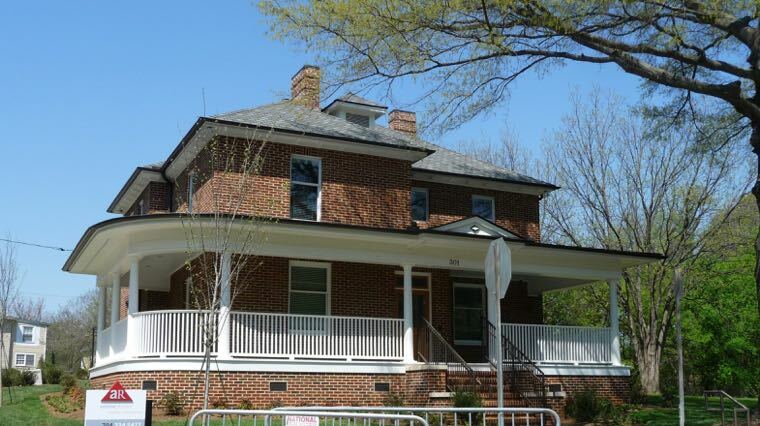 JCSU President Dr. Ron Carter recently teamed with the Landmarks Commission to handsomely restore the dwelling as Foster Village, an office that helps youngsters from foster homes make their way to college. Read more about the neighborhood history around JCSU. When black World War II soldiers returned from defeating Hitler, they could not go to Charlotte’s segregated country clubs. So Jimmy and Minnie McKee created their own city club, with architecture in the cutting-edge Art Moderne style. Major musicians played the Excelsior, including Charlotte’s own Wilbert Harrison, known for his national hit record “Kansas City.” Today it’s open to all, operated by the family of noted civil rights attorney James Ferguson. 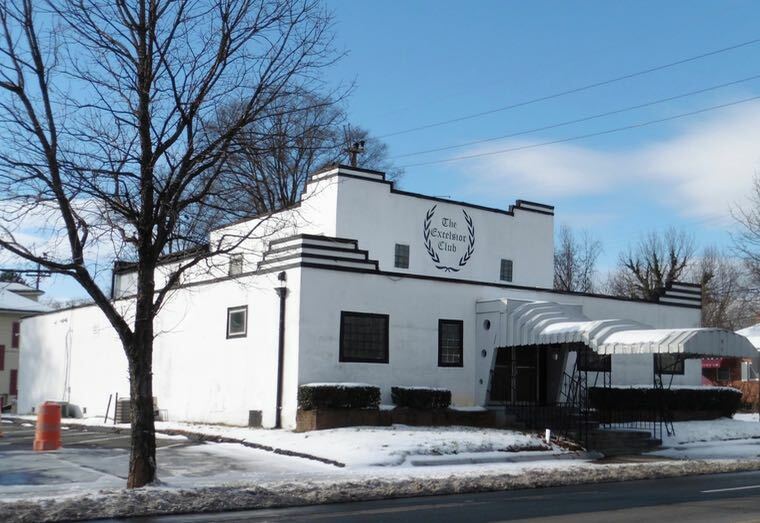 The Excelsior Club stands at the entrance to the historic Washington Heights neighborhood on Beatties Ford Road. Longtime Charlotteans still mourn the demolition of Charlotte’s black Brooklyn neighborhood, bulldozed by “urban renewal” in the 1960s to create today’s Government Center. Outsiders called it a slum but these two surviving structures tell a different story. 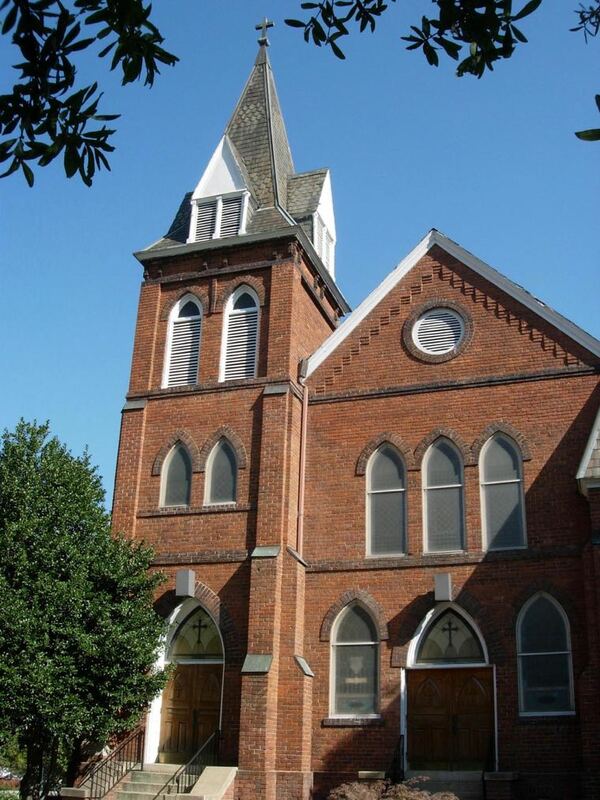 Grace AME Zion Church, 1902, boasts elegant brickwork plus stained glass windows honoring Charlotte’s black economic leaders of the day, including U.S. Consul to Sierra Leone J.T. Williams. Next door, the three-story 1922 Mecklenburg Investment Company designed by pioneering African American architect W.W. Smith held offices of black doctors and lawyers. Grace AME Zion Church and the Mecklenburg Investment Building still stand on Brevard Street, a testament to the work of black brick mason/architect W.W. Smith. Women held lanterns while their menfolk laid the bricks, laboring after day jobs were done. Today the Victorian sanctuary looks much as it did when it opened in 1896. When the Civil Rights Movement heated up, protesters rested here during the 1960 Sit-Ins at uptown lunch counters. In May of 1961, Freedom Ride activists found refuge here during their epic effort to desegregate inter-city buses across the South. Read more about First United Presbyterian Church.